Hello, it’s Alex here from The Junior Club. 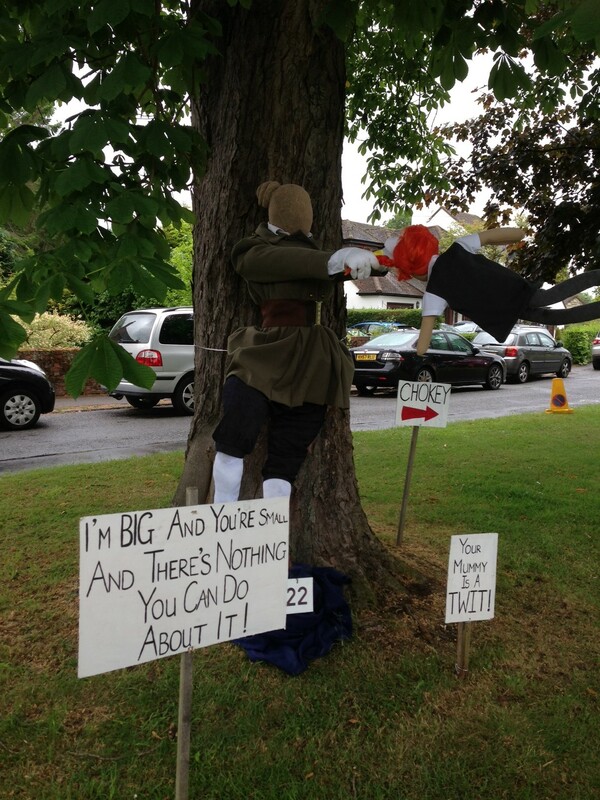 I went to a scarecrow festival on Saturday, which as you may have guessed, is a festival for scarecrows. Local schools and individuals in Pirbright designed scarecrows with a West End musical theme. There were loads of scarecrows based on Matilda, a great one of Lady and the Tramp and even one of Star Wars, although I don’t know how that fits into a musical theme. But the scariest one, was a scarecrow of Shrek. He was massive! Were you there? Let me know in the comment box below please. Remember, you can listen to Alex every weekday on Fun Kids from 2pm!